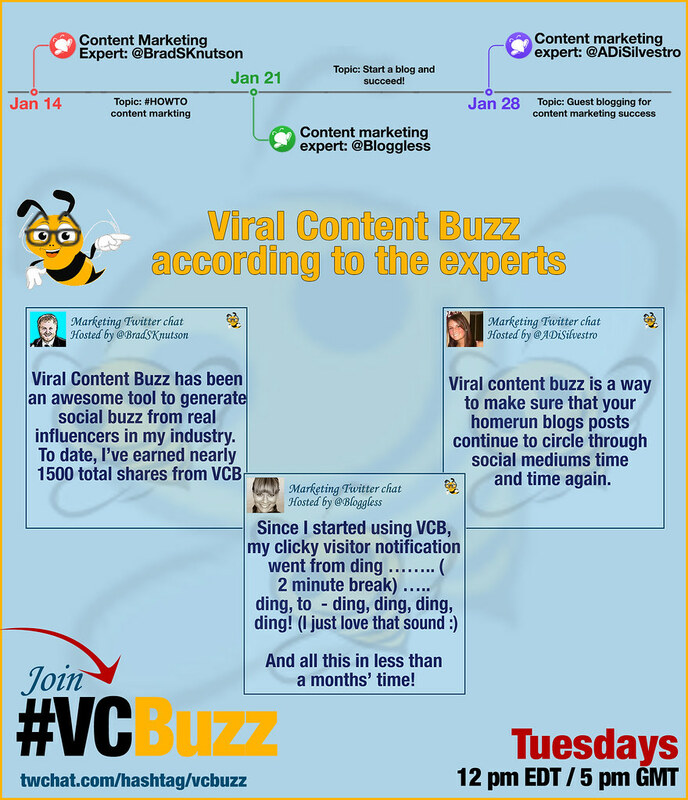 January was our first month of weekly #VCBuzz Twitter chats. We invited three prominent content marketing experts and asked them to share the best working marketing tips. Do you know what they all had in common? Viral Content Buzz Users Speak: Three Most Shared Projects of the Month with @BradSKnutson featured as one of the winners! We’ve had retweet platforms but this is proving to be the master with a solid membership. what makes the power of a platform is not the script but the authenticity of members and I found that VCB is brutally winning the game.